We made the long journey to Houghton in Norfolk with two lorries and five horses! 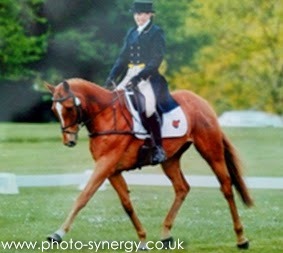 The Navigator was competing in the CCI** class, Sabreeze in the CCI* and Phantom Spark, Cadanbyrig No Warning and Cadanbyrig Moonrunner competing in British Showjumping classes and the Eventers Grand Prix. 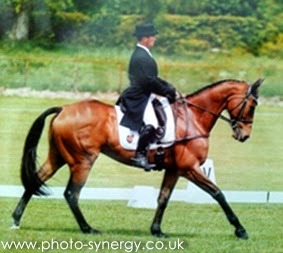 The Navigator passed the first trot up with flying colours and went on to do his dressage on the Thursday of the event. He warmed up well and did a good test to score 51.9. We had a lot of rain on the Friday at Houghton and it changed the ground from good going to deep and challenging! Scobie went really well cross country and had jumped all of the difficult combinations with ease, but unfortunately got caught out, along with others, at a big parallel under trees five fences from home, where he misread the back rail and they fell. Horse and rider were fine but it was a big disappointment. Scobie was sound after his fall and we were relieved that despite falling he wasn't sore in his back nor was there any damage to the flexible SMART saddle! 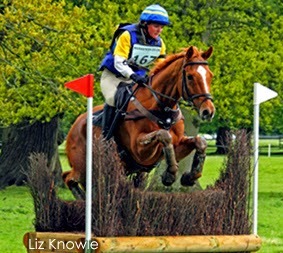 - Not the result we had hoped for but that is the ups and downs of eventing! 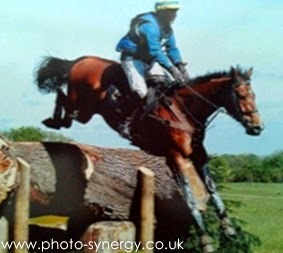 Sabreeze competed in the CCI* class, which was his first three day event of his eventing career. In the dressage phase, the consistency of the trot rhythm was particularly pleasing. This is something that has improved all the time since we started using our SMART saddles. After torrential overnight rain, the going on the tough cross-country course had deteriorated and became very deep and holding, causing lots of problems around the entire track. Sabreeze, unfazed by the conditions, jumped a fantastic clear round inside the time and finished full of running. Sabreeze continued to cope well with the difficult conditions the next day in the show jumping and we were delighted to complete his first three-day event. Check back soon to find out how The Eventing Way team got on at Barbury Burghley Young Event Horse class and the Retraining of Racehorses Parade at Ascot.